Many older adults are faced with dilemmas they never imagined they would have to confront. Should they pay to eat or buy medicine? Or should they pay to heat their home? 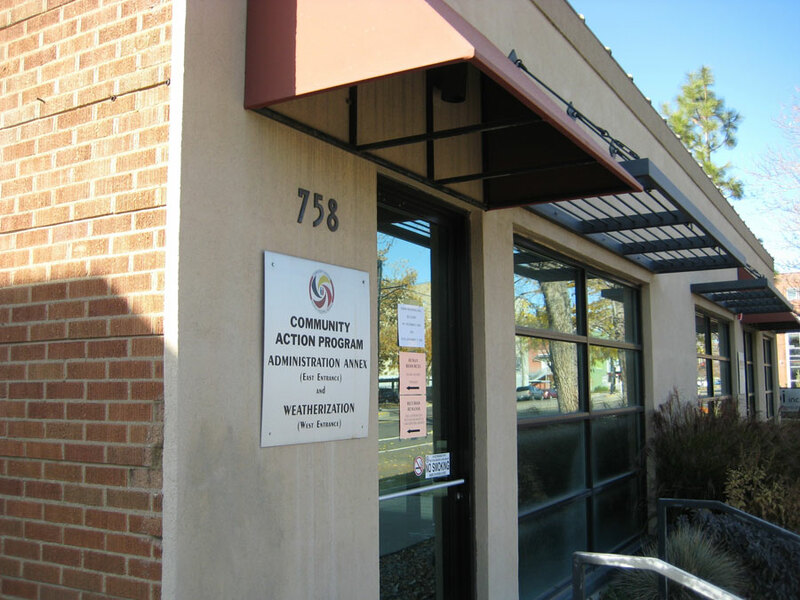 The Community Action Program, located at 764 S. 200 West in Salt Lake City helps weatherize the homes of low-income older adults. Heating a home, though important, falls behind food and medical care in order of importance. Through the Weatherization Assistance Program, CAP helps heat low-income households by implementing cost-effective solutions. “Our goal is to make it so they can afford to pay their bills,” Canning said. The Weatherization Assistance program was started by the U.S. Department of Energy in 1976. It has three main goals: to save energy, to save money and to decrease greenhouse gases. The program is for low-income households, especially those with elderly or disabled residents. Canning estimates that half of the people who receive the benefits of the program are older adults, with a fairly even mix of couples and single individuals. Many older adults don’t need the helping hand of the Weatherization Assistance Program. “Luckily, most seniors don’t have big house payments,” Canning said. In 2008, the program helped 340 households save an average of $300 each by reducing their energy consumption, Canning said. There are many ways CAP helps decrease heating bills through the Weatherization Assistance Program. They fix what Canning called “dangerous furnaces.” These furnaces have high carbon monoxide levels, don’t vent properly, have broken heat exchangers or don’t start at all. If a furnace is operating at 80 percent efficiency it will be replaced at no cost by a furnace that runs at 90 percent or better. Some houses will have a set-back thermostat put in. These thermostats have a timer that automatically turns the heat down at a preset time at night and turns it back on at a desired time in the morning. This helps reduce energy use without forcing residents to remember to control the temperature themselves. CAP will also implement cost-effective air sealing measures so that a house doesn’t lose its conditioned air. When necessary, CAP will insulate a home, fix broken or cracked windows, install compact fluorescent light bulbs and exchange shower heads. Often CAP will install carbon monoxide and smoke detectors when doing the other improvements, “just to make their house a little more safe,” Canning said. The benefits of the Weatherization Assistance Program are free for those who qualify. To be eligible, a household must be at 150 percent of the poverty level or lower. Older adults who work can have 20 percent deducted. Those who pay for their medical expenses with their own money can receive credits that go toward the services of the Weatherization Assistance Program. Before CAP begins the weatherization work, a house must go through an energy audit. The audit suggests improvements that the home needs to be more energy efficient and cost-effective. CAP doesn’t just go through and fix everything. They need to make sure the improvements are worthwhile. “Everything we do needs to pay for itself before it stops working,” Canning said. While CAP does the labor, the work is funded by many different organizations. The bulk of the money comes from the U.S. Department of Energy. Funds are also provided by the Department of Health and Human Services through the Low Income Home Energy Assistance Program (LIHEAP) nationally, the Home Energy Assistance Target (HEAT) program locally, as well as Questar and Rocky Mountain Power. CAP will also get money this year from the American Recovery and Reinvestment Act. Canning expects the ARRA stimulus will enable the Weatherization Assistance Program to help up to 1,000 people in 2009. The need for legal aid is great among low-income Utahns. Two out of every three low-income households in Utah will face a civil legal problem every year. The average cost of legal services in Utah is about $10,000 — a cost few low-income families can probably afford. These statistics were reported in a study done by “…And Justice For All,” a nonprofit organization designed to give legal assistance to low-income Utahns. Fortunately, there are many organizations like AJFA that can help. The Legal Aid Society of Salt Lake is a private nonprofit organization that offers free and low-cost legal assistance in the area of family law, including divorce and help for victims of domestic violence. Established in 1922, LAS has been assisting Utahns for almost a generation. LAS helped an estimated 22,000 low-income Utahns gain access to the legal system during 2008; that has been increasingly difficult to do, due to lack of funding. Kai Wilson, executive director of AFJA, said these organizations are important because the legal system is becoming more specialized and only accessible to people with money. Wilson said the legal system is something everyone should have access to and dreams of a day when Utah will catch up to other states and have the funding to assist 20 percent of low-income individuals. Right now Utah assists 13 percent. LAS receives half its funding from the state. Budget cuts and a drop in funding are a constant threat to LAS. The No. 1 thing that holds LAS back from helping more people is usually funding, which means that only those who need help the most can be assisted. To qualify for legal assistance, paralegals at LAS look at several things. They take cases on the basis of severity of poverty, the type of case and the immediate need of the legal aid. Rosario Martinez, 54, of Salt Lake City is one of those individuals who was turned away from LAS. After divorcing her abusive husband, Martinez sought help from LAS but was turned away during the screening process because she was not in any immediate danger from her ex-husband. Martinez understands there are limits to how many people these organizations can help, but she does intend to keep on trying, especially now that her husband is trying to get out of paying child support. While LAS cannot help everyone, it does assist many people each year. Stewart Ralphs, director of LAS, said the average client LAS sees is about 25 years old, has about two kids and usually is a member of the Church of Jesus Christ of Latter-day Saints. LAS specializes in cases of domestic violence, specifically protective orders and stalking injunctions. It also offers help with domestic-relations cases, such as child custody and support, divorce, paternity and guardianship. People seeking legal aid from LAS can apply at the Matheson Courthouse, 450 S. State St., in Salt Lake City. First there is a conflict check where paralegals determine if LAS will have any conflict representing the potential client. Then there is an intake interview with a paralegal who prepares the legal paperwork. This part takes about four to five hours, and is “not something you can do on your lunch hour,” Ralphs said. When the paperwork is completed, clients are assigned a lawyer to represent them through their legal needs. The average case takes about 45 days of legal work, which is relatively short; some legal cases can drag out for years. These short legal cases often change clients’ lives forever. One of these people is Susan, whose last name is being withheld for her safety. Susan filed a protective order against her physically abusive spouse to keep herself and her two children safe. But under the guise of visitation, Susan’s husband violated the protective order and took the children to Florida. LAS and the county attorney’s office in Florida arrested Susan’s husband. She flew to Florida to be reunited with her children and her spouse was extradited to Utah to face charges of custodial interference. Susan then filed for divorce. She now has full custody of her children and is divorced from her abusive spouse, something she would have not been able to accomplish without the help of LAS. “The Justice Gap,” a study conducted by Utah Legal Services and “…And Justice For All,” reports at least 68 percent of low-income households in Utah will face a civil legal need this year. However, only a limited number of those families will actually receive the help and guidance they need to resolve these legal issues, due to the rising costs of legal assistance. Issues may range from custody cases to disability discrimination, but where there’s no money, there’s often very little available help. “It is apparent that more and more frequently, access to justice depends on access to money,” the report states. “…And Justice For All” is a partnership of the Disability Law Center, Utah Legal Services and Legal Aid Society of Salt Lake. Among many other services, the organization places an enormous priority on providing free legal guidance and assistance to families and individuals dealing with domestic violence. The nonprofit organization helps thousands of low-income individuals each year to obtain the safety and security they, and often their children, need without facing overwhelming legal fees. “…And Justice For All” Executive Director Kai Wilson said thousands of people feel like they can’t get the help they need from the nation’s legal system because of financial barriers. Wilson said he’s found that to be especially true now, during the increasing U.S. economic struggle. As the unemployment rate increases, so does the need for legal assistance. “Requests for bankruptcy help, family law and protective orders have gone up by 20 percent … during this economic situation,” Wilson said. Although many low-income Utah families have been experiencing increased struggles, there is help available. “…And Justice For All” partners with several groups to offer help in several ways, including over-the-phone guidance, in-clinic consultations and full trial assistance for those who meet the financial requirements. The organization strives to help as many low-income individuals as possible to get themselves and their children out of abusive and dangerous situations. Legal Aid Society’s Executive Director, Stewart Ralphs, said he has dealt primarily with domestic violence cases since joining Legal Aid in 1991. Most domestic violence legal services are free with other civil services offered on a sliding fee scale, Ralphs said. “Money should never be a barrier for victims of domestic violence,” he said. Ralphs says he understands, however, that while finding free or affordable legal help is often an enormous obstacle for abuse victims, it certainly isn’t the only one. He mentioned a specific case in which his client was being subjected to brutal episodes of abuse by her husband. Her husband had gone so far as to put keys between his fingers when he hit her, leaving several long, deep gashes on her face. Ralphs said helping this woman and her children obtain physical safety from her husband opened his eyes to the mental and emotional struggles that abuse victims have to deal with when they seek help. The success rate of LAS cases in which victims obtained protective orders, civil stalking injunctions and/or child protective orders is extremely promising. “Last year, 85 to 90 percent of the victims we helped reported no further violence [after obtaining a protective order],” Ralphs said. LAS completes two follow-up surveys after victims have obtained legal guidance: one after sixty days, the other after one year. Ralphs said the large majority of results from the surveys have been positive. “…And Justice For All” was created to help victims of domestic abuse, low-income families and disabled individuals obtain the same legal guidance as those who can afford to pay for attorneys. Its aim is to provide a means to justice for all those who seek it. “We just want to help,” Wilson said.